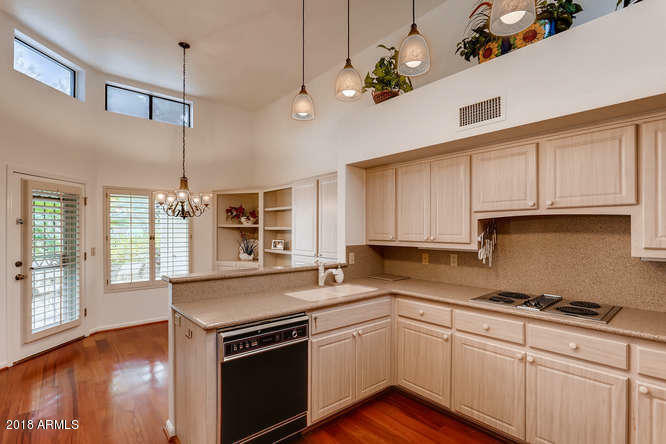 Luxurious town home in the prestigious Peninsula community in Old Litchfield Park. 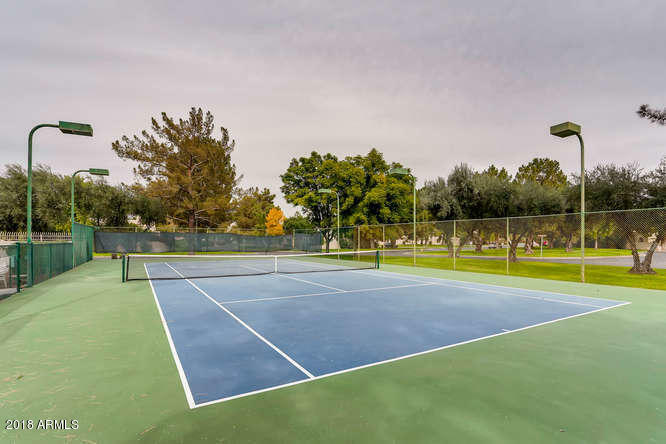 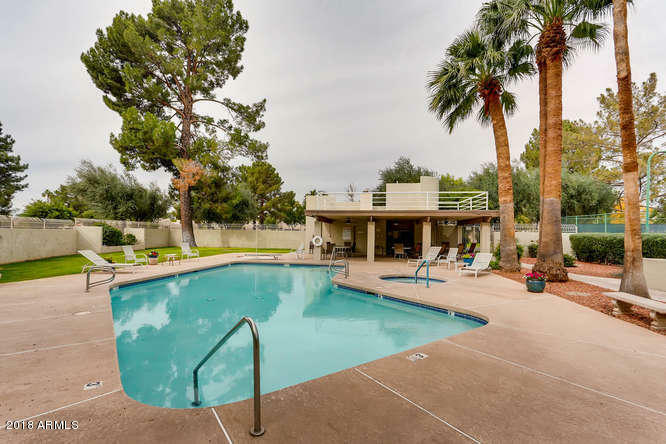 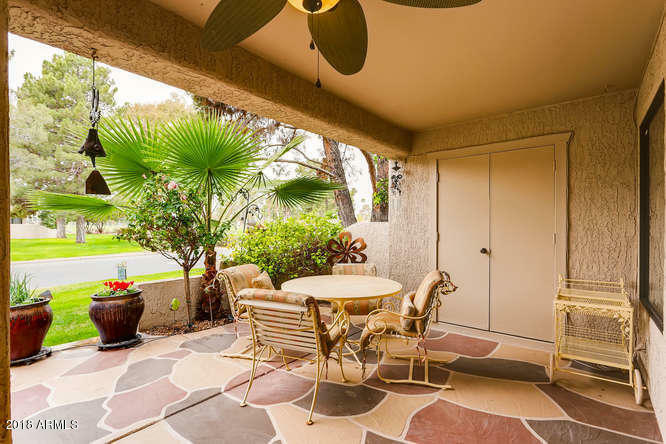 Enjoy beautiful golf course views, the heated pool and spa, tennis court and manicured grounds without the maintenance! 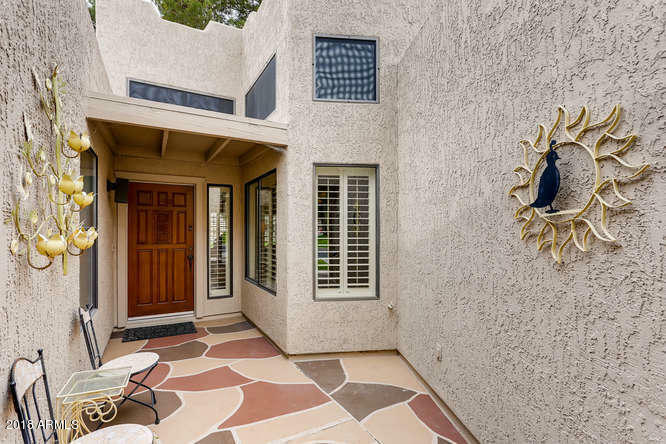 Gated front entrance welcomes you into a charming courtyard. 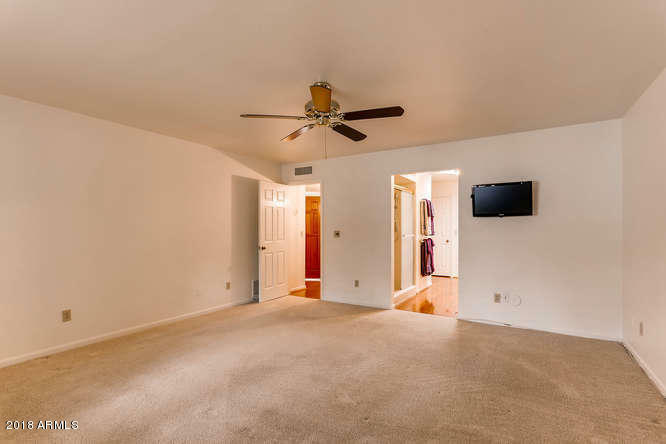 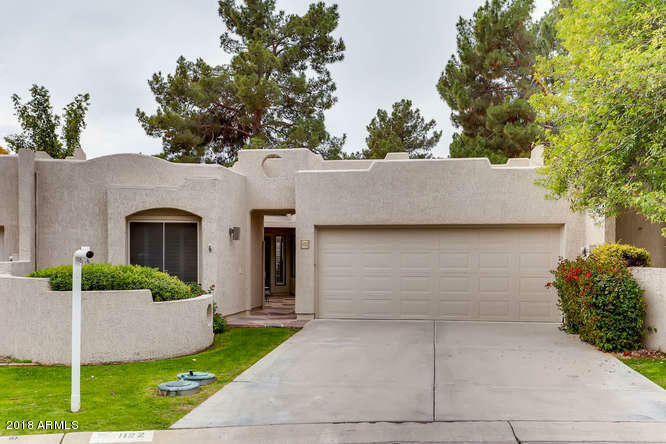 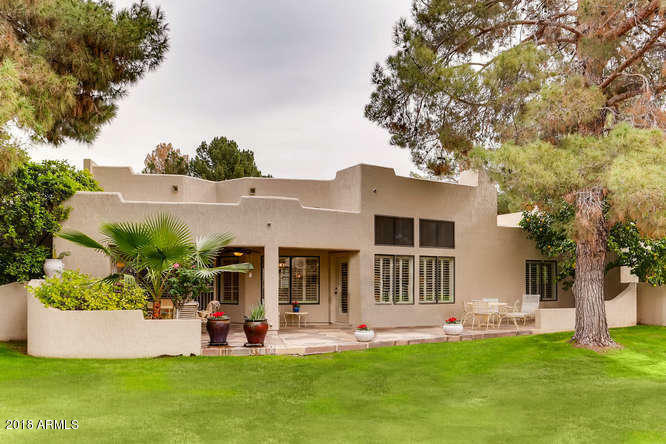 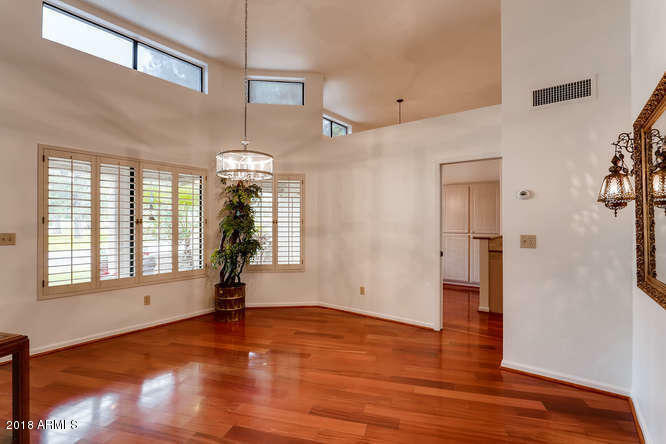 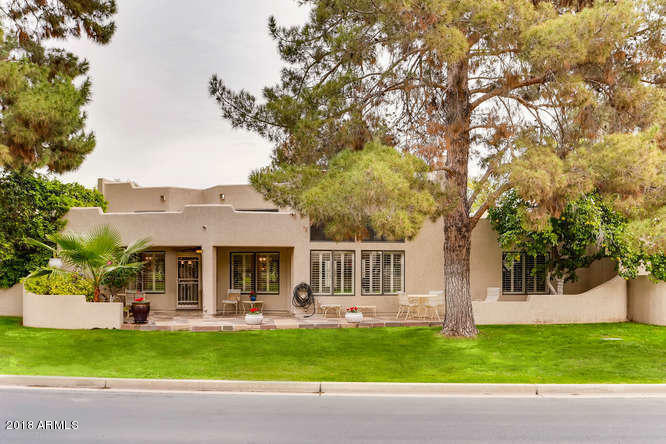 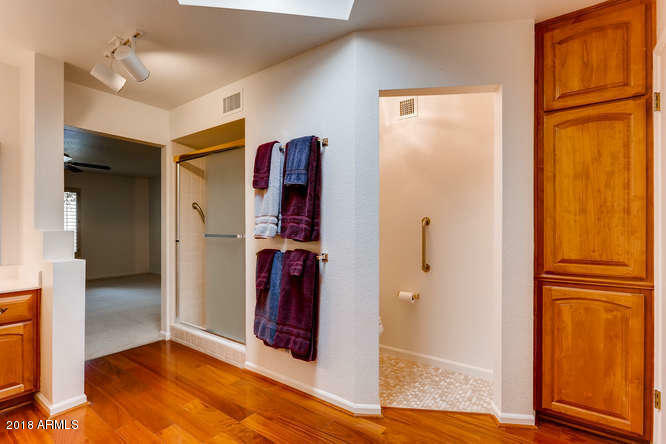 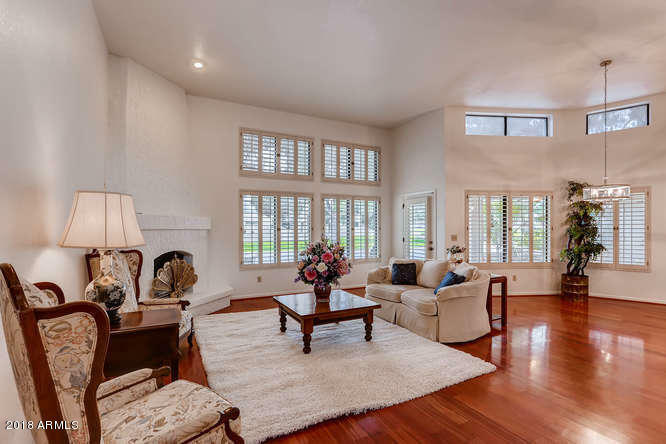 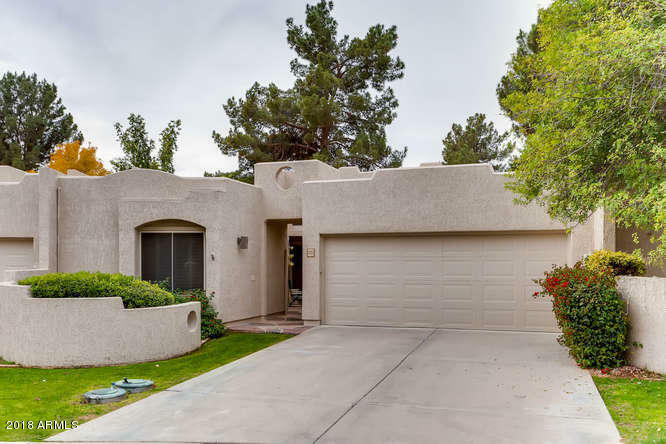 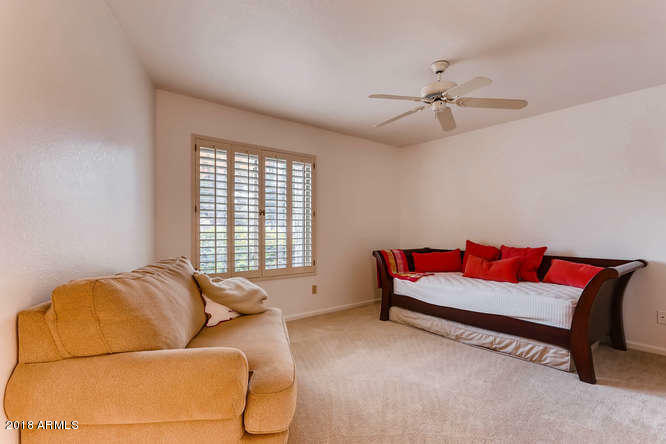 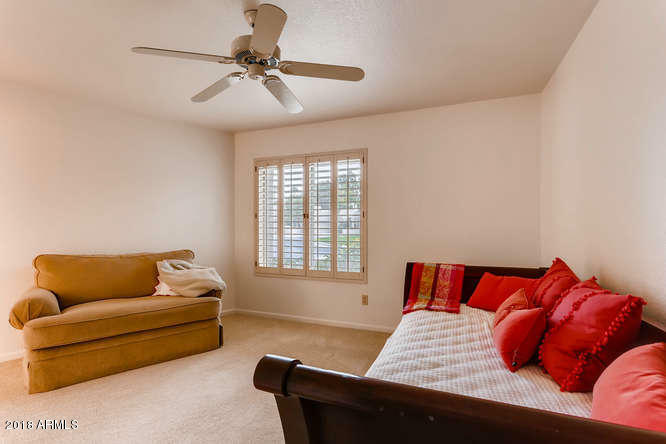 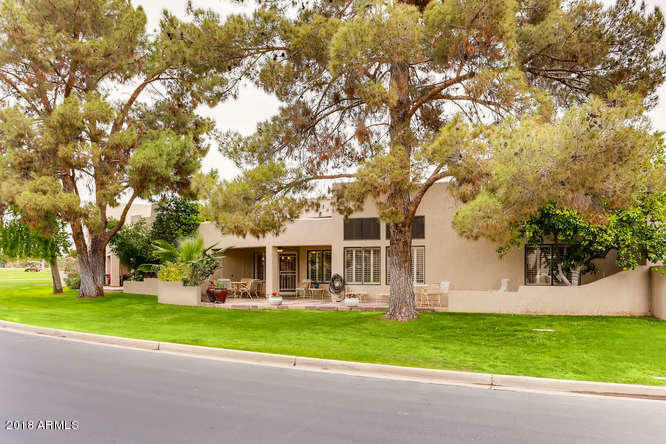 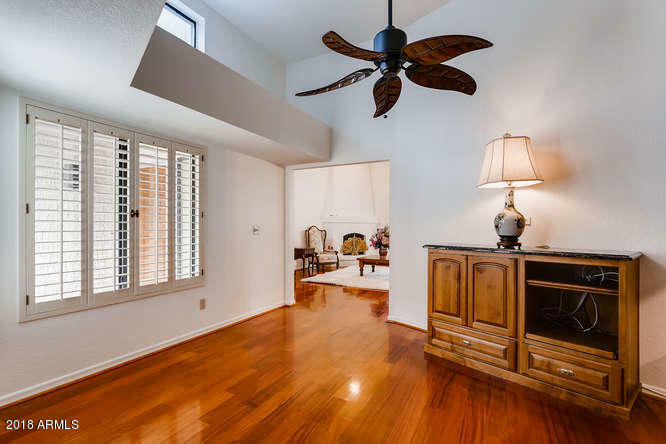 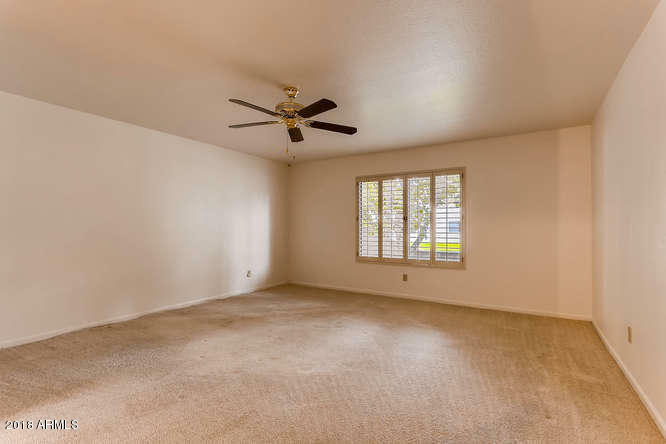 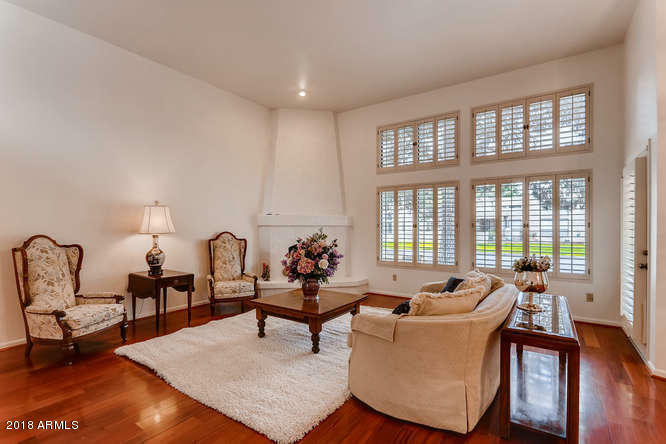 This two bedroom, two bath home has lovely cherry floors everywhere (except bedrooms) a large den with custom, granite-topped built-in desk and credenza, and plantation shutters throughout. 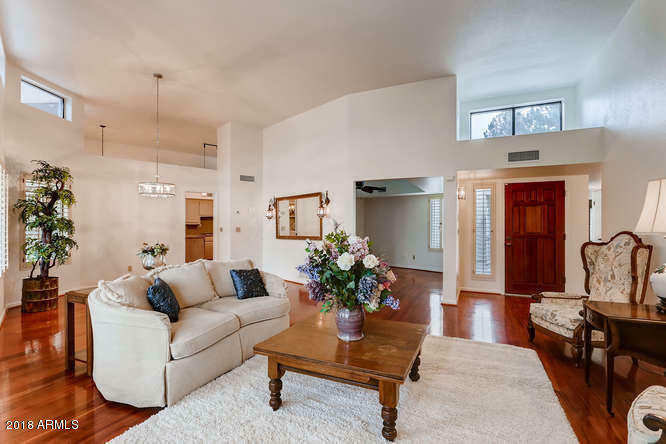 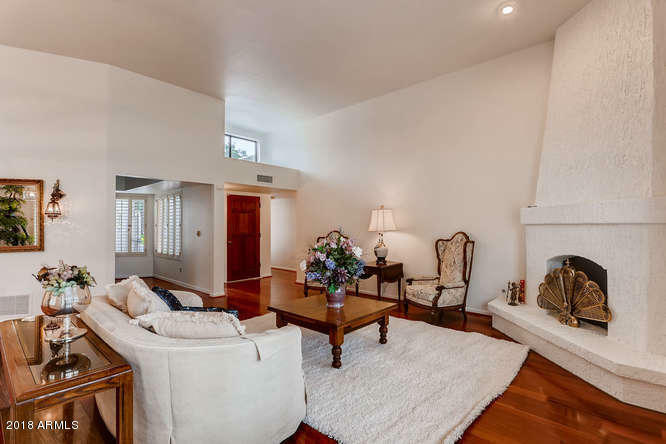 Raised-hearth corner fireplace in bright, spacious family room with vaulted ceilings. 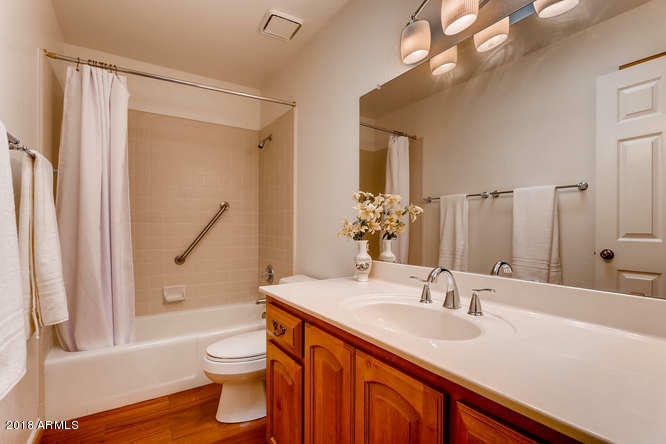 Remodeled master bath has custom vanity. 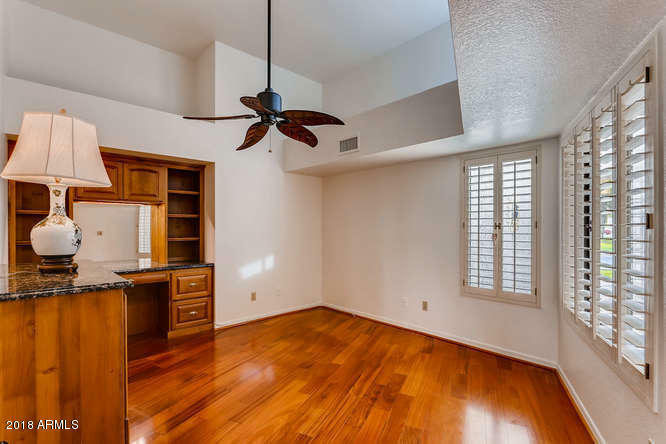 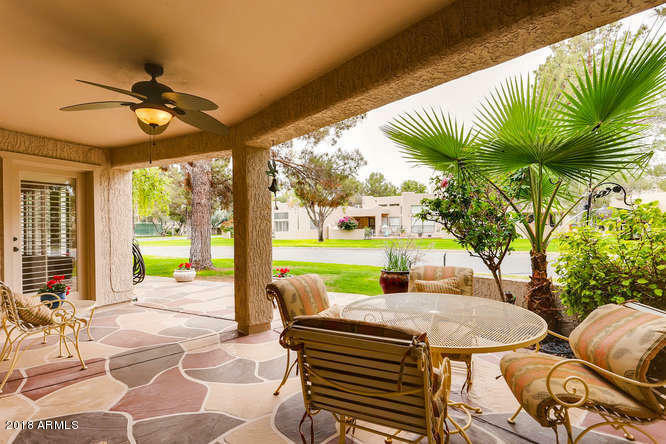 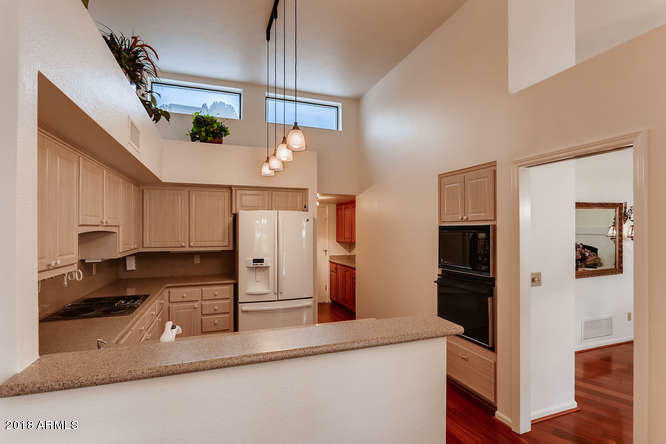 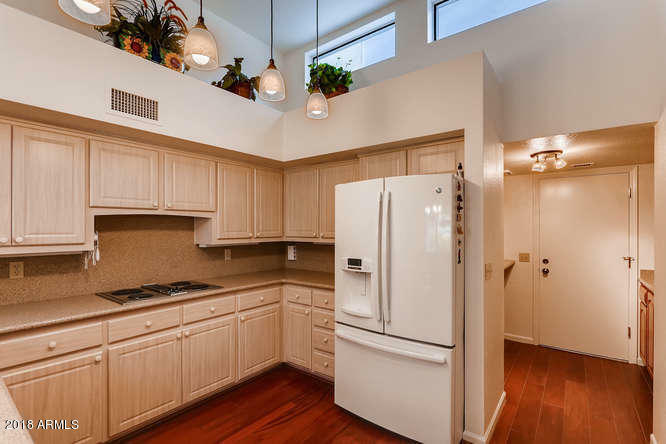 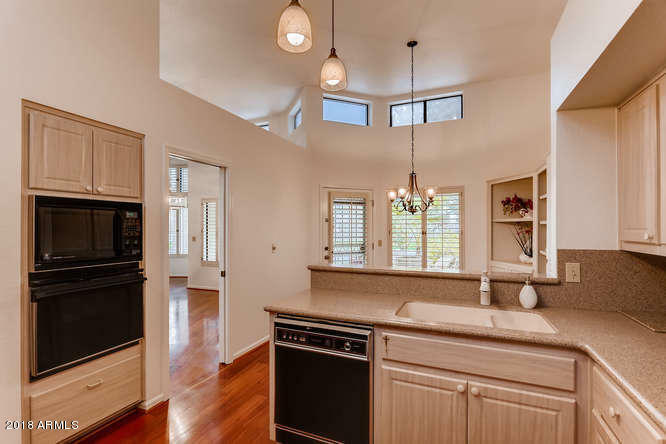 Eat-in kitchen with a view of the large covered patio.Enjoy the best of Arizona living in this friendly and exclusive community!